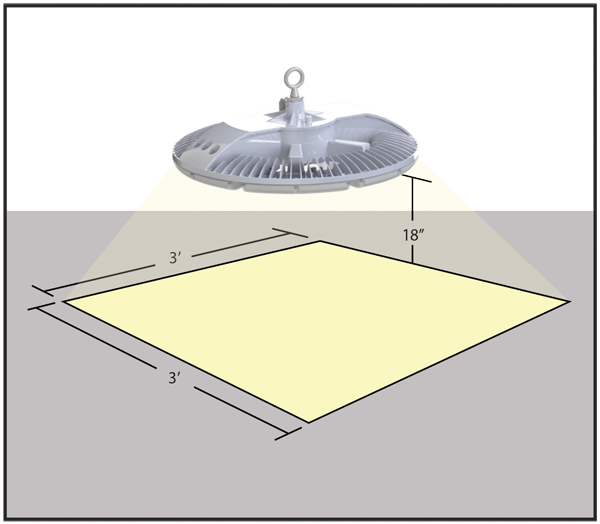 The EYE HORTILUX LED 240-R Grow Light System is the culmination of years of research and engineering. 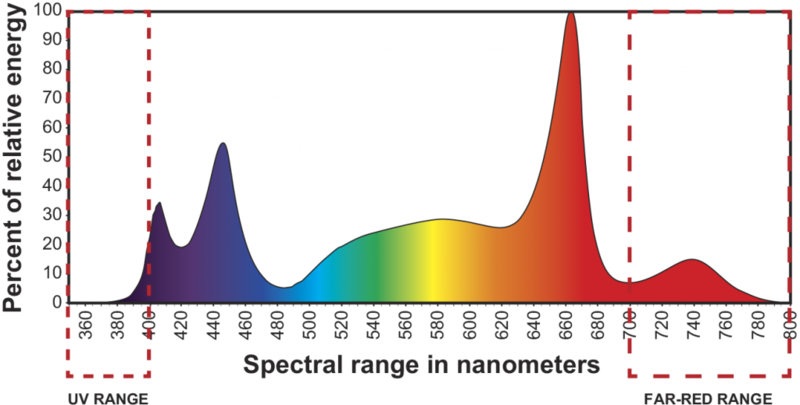 The Patent-pending spectrum was tested against seven other spectrum's in a plant-growing operation. Coverage Area 3 ft. x 3ft. Height Above Canopy 18 in. Distance between fixtures** 3 ft.
*Optimal setup and performance measurements based on LED 240R System. Actual performance may vary. **The distance between fixtures should be measured from the center of the lamp. Attach the included eyelet. Hang it from your rope ratchet or chain. Plug it in. You’re ready to grow. It’s that easy.